Romantic flower style ballroom hair accessory, hair jewellery decorated with stones for shine. Back side with hair clip. 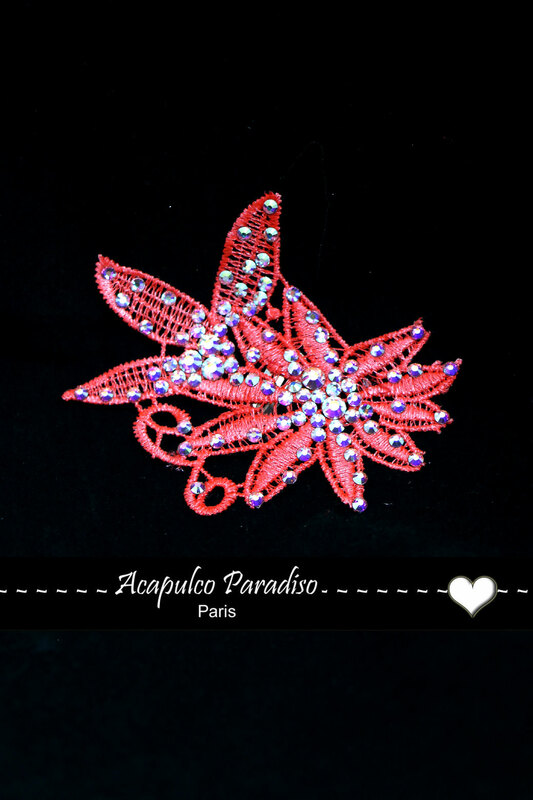 Ideal to complete your dance look or embellish your hair style to create charm. Available at 10 different colors.